How to watch The Scorpion King (2002) on Netflix Australia! Yes, The Scorpion King is now available on Australian Netflix. It arrived for online streaming on March 8, 2019. 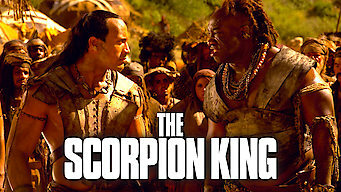 We'll keep checking Netflix Australia for The Scorpion King, and this page will be updated with any changes. Tasked with killing a wicked dictator who's bent on expanding his empire, a heroic warrior gets help along the way from a bewitching sorceress. Scorching deserts, deadly beasts, an evil king and his bewitching sorceress. One bold hero rises to vanquish them all.